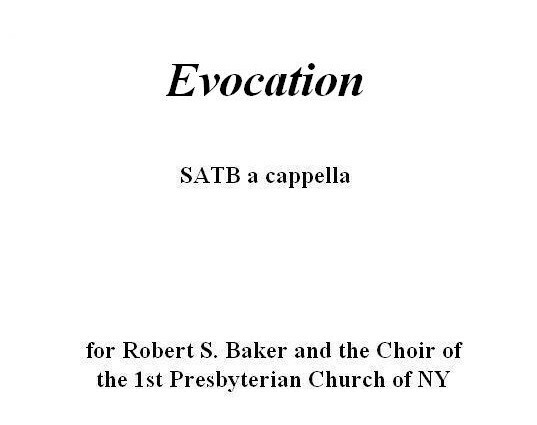 Evocation is the fourth and final anthem of an a cappella Sacred Service, which I wrote in 1981 for Robert S. Baker and the Choir of the First Presbyterian Church In New York, of which I was a member at the time. The text is taken from Psalms 43, 77, and 108. The recording is of a performance by the University of Texas Concert Chorale, conducted by Craig Hella Johnson.